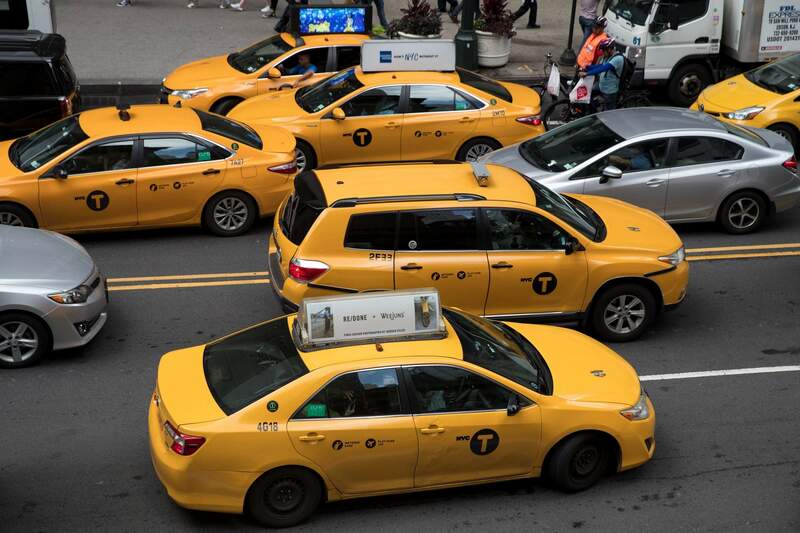 Yellow cabs make their way across 42nd Street outside Grand Central Terminal in New York. The City Council approved a package of bills that included a one-year moratorium on new licenses for for-hire vehicles while the city studies the rapidly changing industry. 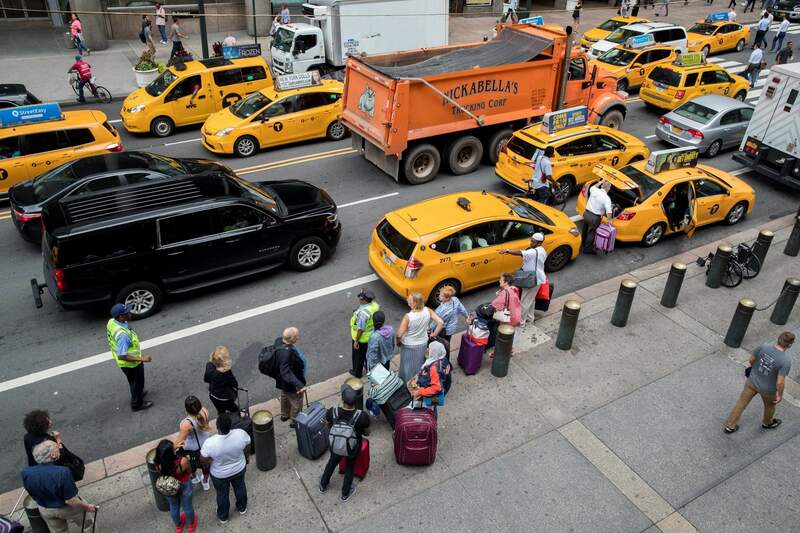 Passengers board yellow cabs as others wait in line at a taxi stand on 42nd Street outside Grand Central Terminal in New York.